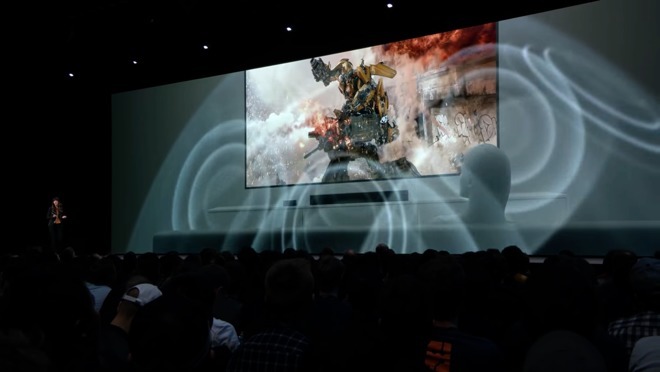 At last year's September iPhone release event, Apple also unveiled the Apple TV 4K, supporting the latest video technologies like Dolby Vision and HDR10 —but minus Dolby Atmos. AppleInsider delves into Atmos versus surround sound, and what you can expect when support comes in the fall. AppleInsider purchased the Apple TV 4K immediately after release. I've enjoyed watching 4K movies on my theatre system, but Dolby Atmos surround sound has been absent. 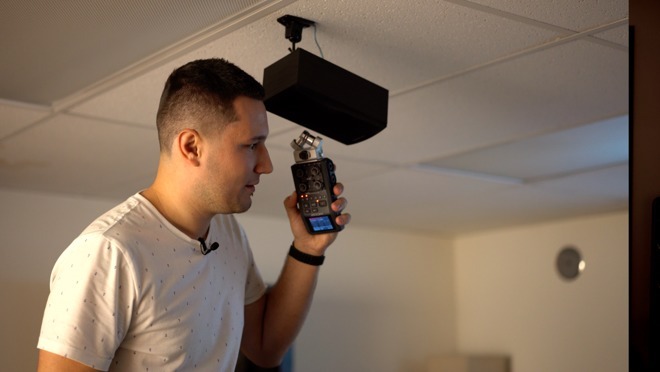 Dolby Atmos allows sound engineers to place sound "objects" in 3D space, with reproduction of that sound seemingly coming from that direction. Because of the lack of Atmos, I constantly switched back and forth between the Apple TV 4K and my Xbox One X, which supports Atmos. I can't imagine that I'm the only one who would do this, after hearing Atmos in action. Apple promised Atmos would arrive in a future update, and now that WWDC 2018 has come and gone, we know support is coming to the Apple TV 4K with tvOS 12, this September. So, as a result, the iTunes Store has yet to get movies updated with the feature. To compare Atmos and surround sound, we're going to head over to Netflix and try out "The Punisher," which we know for sure supports Atmos on our Xbox One X. With the Netflix app on the Xbox One X, the film is HDR instead of Dolby Vision. 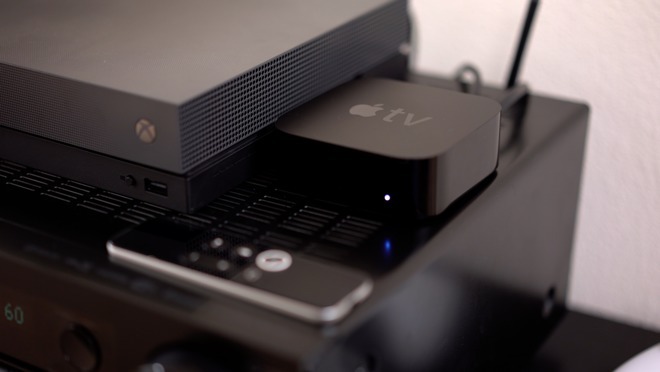 So, for picture quality alone the Apple TV 4K will beat out the Xbox One X, and is going to be able to support up to 12 bits of color and up to 10,000 nits of brightness in addition to Atmos, when support finally rolls out. 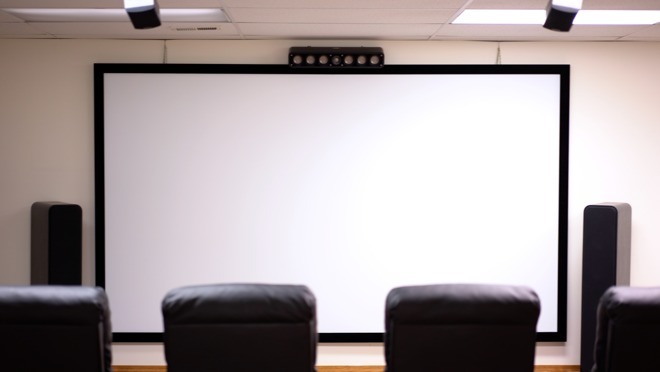 While you're watching a YouTube video, it's hard to give the full effect of Dolby Atmos versus a surround sound system. We'll use our Zoom H6 Recorder and get close to the Atmos speakers so you can hear what kind of sounds they put out, and hopefully that'll give you a good idea of what you can expect on the Apple TV 4K. The Dolby Atmos definitely adds another layer of depth. You can hear breathing sounds from above when there's a first person view scene in the show. Completely different sounds are coming from the other speakers, so Atmos definitely adds to the experience. I just heard some crows in the woods, and it's interesting because I didn't hear that from the rear speakers, or from the front. I only heard it from the upper channel of the Atmos speakers, just like if you were actually in the woods, and you're hearing the crows above you. In another scene, we heard a stabbing sound from only the center channel and the Atmos speakers, while the front and rear speakers played background music. There was also some shooting scenes, where we would hear gunshots from either the front left, front right, right left and rear right speakers, depending on where the gunshots came from in the show, just like you would hear if you were on-set or immersed in the action. If anything happens above you, like a drone or helicopter making a low pass above you, instead of everything happening on a flat plane with stereo separation, the Atmos system models that pass, and regulates the sound from the different channels to better simulate that fly-over. It's very clever how they're mapping the sound, and it really adds to the experience. Dolby Atmos will be a great addition to the Apple TV 4K —when it arrives. Fortunately, if you have a big iTunes movie library, you'll be ready —like it did with HD videos to 4K, Apple also announced that once Atmos goes live, any eligible titles you've previously purchased will be automatically upgraded for free! So we're glad Apple is adding this, and I definitely think that this will help Apple sell more Apple TV 4K's, as well as more movies on iTunes. It will be the only player that can play from Amazon, Netflix, and iTunes on one box.